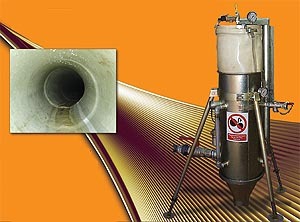 Sewer & Pipeline Rehabilitation equipment. TC Mechanical Services has over 30 years experience with joint sealing and testing systems using acrylate, acrylimide and polyurethane grouts and is at the forefront of current sealing technologies as a 3M and CUES inc development partner . systems in the world for your unique needs! 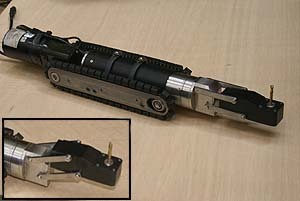 CUES offers a full line of portable and truck-mounted joint sealing systems. 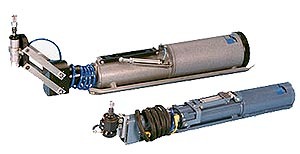 Dry freight box (for export) and trailer-mounted joint sealing systems. Applications include joint testing and sealing of mainline and lateral joints, manholes, junction boxes, large diameter pipes, or any other low pressure waterproofing applications. All systems can be configured to run Urethane, Acrylimide and Acrylate grouts. Seal and Test packers are available for mainline and lateral sealing. These conventional towed cutters are rugged, waterproof, and built to withstand shock and vibration. The cutters are proven and reliable with hundreds of units in daily use. The Kangaroo cutters are equally effective in CIPP or Fold and Form liners. 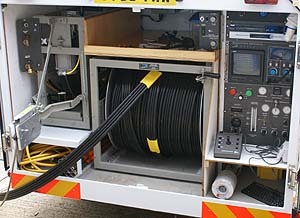 They can be installed on any CCTV manufacture's truck mounted system. Both cutter systems operate optimally with 1000-1500' of cable and include the Dual Cutter Controller! 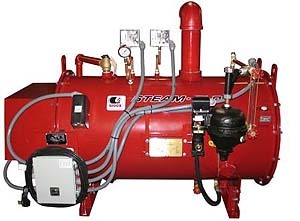 T C Mechanical can offer hot water boilers specifically manufactured for the curing of CIPP liners.